BOB has your baby covered with specially designed mesh that reduces the sun’s harmful ultraviolet rays (UVA/UVB). • Also protects from wind and flying insects. 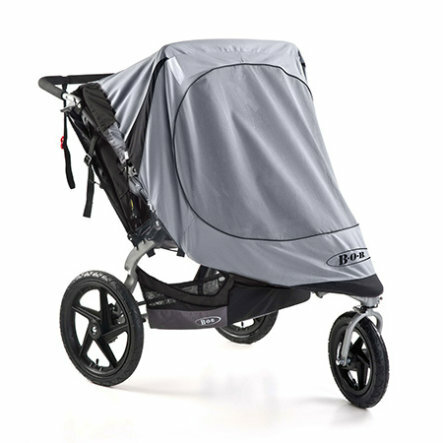 • Attachment is simple to secure over the stroller.